iPad or laptop: Which is right for you? In a recent article you said that you couldn’t play movies stored on a flash drive on your iPad. Is there any way at all to use other kinds of files on a flash drive with an iPad? In a very limited way, yes. It’s like this. You can attach some flash drives to Apple’s $29 iPad Camera Connection Kit. (If you have an iPad with a Lightning connector you’ll additionally need Apple’s $29 Lightning to USB Camera Adapter.) Let me underscore some. 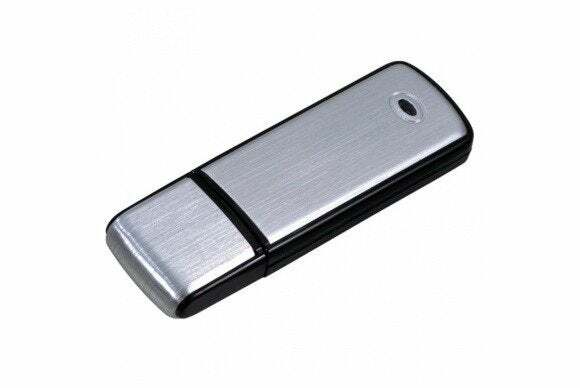 Some flash drives require more power than the iPad can provide and won’t work. For example, I had luck with a low-capacity (64MB) flash drive but a 4GB drive was deemed incompatible by the iPad. The flash drive must be formatted as a FAT volume. These drives are formatted this way by default, but to be sure, plug the flash drive into your Mac, launch Disk Utility (found in /Applications/Utilities), select the drive, click the Erase tab, choose MS-DOS (FAT) from the Format pop-up menu, and click the Erase button. In the sheet that appears confirm that you want to erase the drive by clicking Erase. 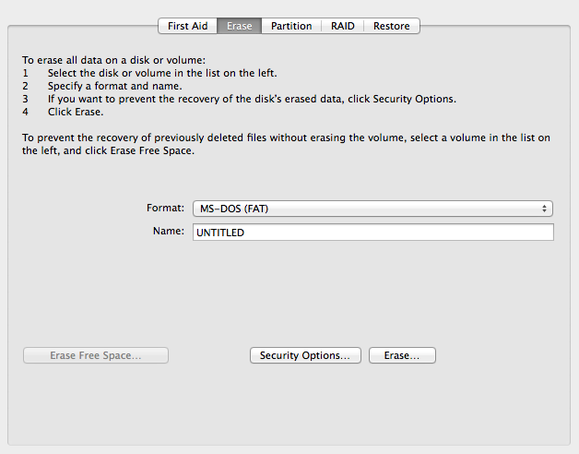 Use Disk Utility to format the flash drive. Now that you’ve formatted the drive correctly, create a new folder on it and name that folder DCIM. Copy into it any images and compatible videos that you want to copy to the iPad. Plug the flash drive into the Camera Connection Kit’s USB port. When you do this, the iPad’s Photos app should launch and display an Import button at the bottom of the screen. Tap on Import and a thumbnail image of every importable items within the DCIM folder will appear. Choose those you want to copy to the iPad and tap Import. And this is what I mean by limited. You can’t import other kinds of files to an iPad via a flash drive. For this reason—as I suggested in the article you cited—you’re better off syncing files via a cloud service or directly from your Mac via iTunes. Updated: to mention Lightning to USB Camera Adapter.